PTSuks Uncanny World: Mike Tyson - Most Adjusted Fighter from Punch-Out !!? Mike Tyson - Most Adjusted Fighter from Punch-Out !!? 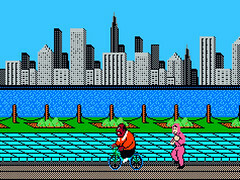 Investigate reporting via PMSports reveals that Mike Tyson might be the most well adjusted fighter from the classic NES video game "Mike Tyson's Punch-out!!" See for yourself in this interview with "Joe Blank" and you be the judge.